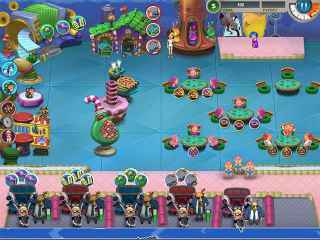 Free Download Toy Factory Game or Get Full Unlimited Game Version! Become the head of the biggest toy factory in the world as you race to save Christmas! In order to get advantaged of playing Toy Factory full unlimiteg game version you must register the game. Try your skills at bear building in Teddy Factory! Can you rise to the top of the local Teddy Factory and get that big promotion? Create chocolaty drinks for the creatures of Fairytale Island! Top them with tons of goodies, including whipped cream, cookies, fairy dust and more!